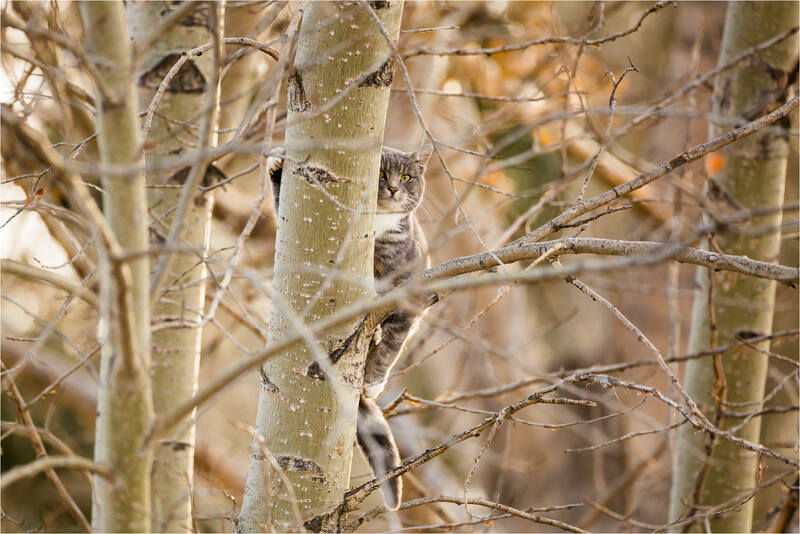 I went to see an owl but found this cat quite high up in this tree instead. She looked pretty comfortable there before turning her body downwards and then, half scraping, half sliding, made her way to the ground. This entry was posted on November 8, 2014 by Christopher Martin. It was filed under Animals and was tagged with animal, cat, climb, feline, trees.